Nice on greyman... anyone heard of cutting glass with string..... someone mentioned ages ago cant find post now. bettersafethansorry wrote: Nice on greyman... anyone heard of cutting glass with string..... someone mentioned ages ago cant find post now. Seen my YouTube link above ? junmist wrote: Cooking: I need to get some more gas for the camping stove. what is a 'storm lantern' please? My back door is kind of a fire door so large glass area. It's also in my bedroom! I came up with one of those extending poles (like that fit in corner of shower with shelves on) but instead across inside of door area then hang a duvet cover with the press studs end around the pole. that way it slides back like a curtain for me letting dogs into back garden and gives an extra layer of warmth behind the main curtains that hang from the curtain pole higher up. Can also put something like draught excluder etc along bottom of the hanging duvet so draughts stay the other side. Maybe good idea for french or patio door areas as I have blinds in the lounge and I find I can still feel a draught from there even when they are closed. Have extra duvets/blankets and 2 dogs sleeping on the bed with me so we should be able to keep warm! They have fleece jumpers too. I've got a onesie. Dunno if anywhere does a battery camping TV? I can't hear a radio. Router won't work for BB to stream from internet even if had enough power left in laptop and I suspect it would use laptop battery up fast. I don't have kids to entertain either luckily, just the dogs who are happy with food based puzzles and tennis balls, footballs or snowballs! Dunno what I'll do once all ipads etc had gone flat..lol! guess I best find a new hobby that doesn't require anything that needs charging! I'm not comfortable with gas canisters so going with the Kelly Kettle I think as we don't have that many power cuts and it usually comes back on after a few hours. If there's a chance its gonna be going on for a while I'd have to see if bro can bring his camping stove over as he has gas hob and large gas BBQ. I guess could get one of those cheap BBQ's too with fuel or those that come as foil tray (disposable ones) to warm hands over, would they be safe indoors if you placed it under a low window and had window wide open? ..if temps were freezing outside and you didn't want to sit outside and cook! A storm lantern is usually a parafin lamp with glass around it, some a pressure types. oh cos you said you were getting the storm lanterns for the candles? I thought the candles went in the middle to make them safer? 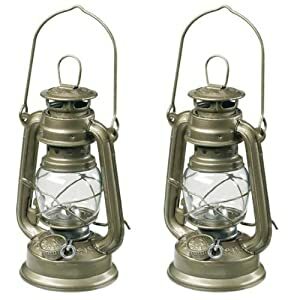 You can get candle holders that look similar, I've got one for tea lights hanging in the kitchen, but the storm lanterns were the ones shown, I believe storm was a brand name at one time.